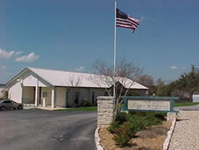 Water District 17 (WCID 17) is a retail non-profit public utility providing quality water and wastewater service to customers in the Lake Travis area along FM 620 in West Travis County from FM 2222 to Highway 71 West. The District has over a 55 year history of serving customers in the Lake Travis area. The District’s authority is established by the state of Texas and approved by the voters within the District’s boundaries. The District’s main office is located just off RM 620 on Eck Lane, approximately 300 feet south of the Hudson Bend Road intersection. Office hours are 8 a.m. – 5 p.m. Monday – Friday, except posted holidays.